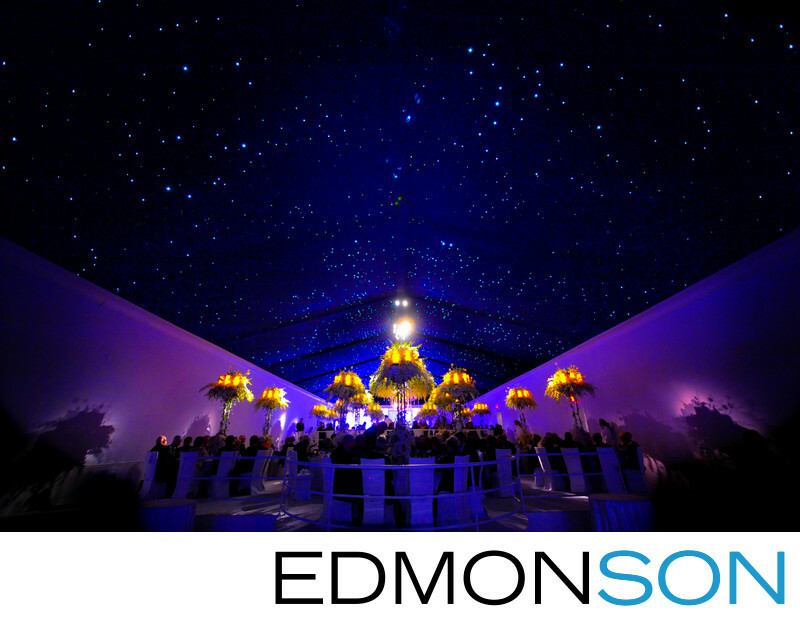 Guests dine under the stars as Nelson Robinson of Stageworks transforms the Dallas Arboretum wedding reception into something fit for royalty. This spectacular platinum wedding coordination provided by Mary-Frances Hurt of DFW Events. 1/15; f/2.8; ISO 6400; 14.0 mm.